These narrative and lyric poems describe the contours of life in a Pacific Northwest logging town and the bittersweetness that grows there. They also convey the polyvocal experience of growing up in a multigenerational family, with voices from the past joining those of the present. The first section, "Miserywhip Years," refers to the long handheld saw used by two people to cut down large trees and consists of stories of the logging camps told by the poet's relatives. Another section, "Country Kids," describes growing up in the same place in the 1970s and '80s, including stories of schooling, punished love, and the promise of Armageddon. A long poem, "Elegy for Chastity," memorializes the life and death of the poet's grade-school friend. Later poems, reflective, sometimes joyous but often painful, include contemporary narratives of love, lust, loss, and survival within and beyond the cultural geography of the Pacific Northwest. Jenifer Rae Vernon was raised in Yelm, Washington. As a young girl she wrote down the stories of her elders in the local vernacular, sparse and direct speech. She says, "I learned that plain old words can shine glorious if they are bowed and rearranged right-and that sometimes the rhythm says more than the words themselves." Later she journeyed abroad, to Spain and Morocco, working on oral history projects in conjunction with her studies at Evergreen State College. She earned an M.A. in international studies at the University of Oregon and a Ph.D. in Communication at the University of California, San Diego. She has been a featured poet in clubs and performance spaces in the San Diego-Tijuana area and has presented papers on performance poetry and its role in community building at a number of venues. 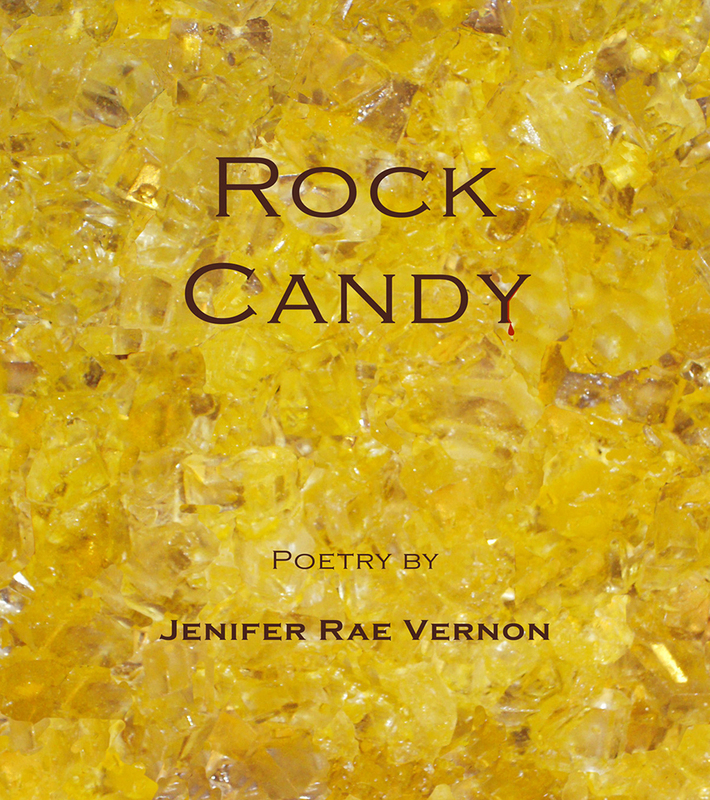 Rock Candy is her first book-length publication.